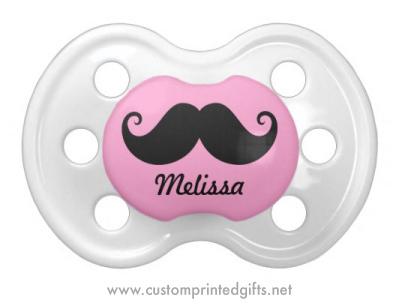 Fun, personalized pacifier for baby girls featuring a black handlebar mustache on a pink background. Customizable name. Makes a cute baby shower gift. This design is also available with other color backgrounds.